From the front desk check-in to getting ready to return home, you will be met by dedicated professionals whose main concern is your safety, health, and comfort. NAPLES, Fla. (January 24, 2019)– Seaside surgeon partner Evgeny Krynetskiy, M.D., has been named a Florida Top Doctor by FL Top Docs, a division of USA Top Docs, LLC. Dr. Krynetskiy is an orthopedic surgeon specializing in foot and ankle surgery. 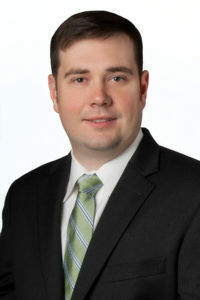 Following his graduate work at Drexel University College of Medicine in Philadelphia, PA, Dr. Krynetskiy completed his orthopaedic surgical residency at Hahnemann University Hospital, Philadelphia, PA.
During his residency training, Dr. Krynetskiy worked at Philadelphia’s Shriners Hospital, where he came in contact with patients from many countries, many of whom were suffering with complicated, chronic, lower extremity deformities. Inspired to seek advanced training, Dr. Krynetskiy completed a Foot and Ankle Fellowship at world-renowned Duke University Medical Center. He relocated to Southwest Florida, joining Seaside Surgery Center in 2018. In his private practice, Dr. Krynetskiy treats acutely injured patients as well as those with prior trauma or chronic inflammatory disease.